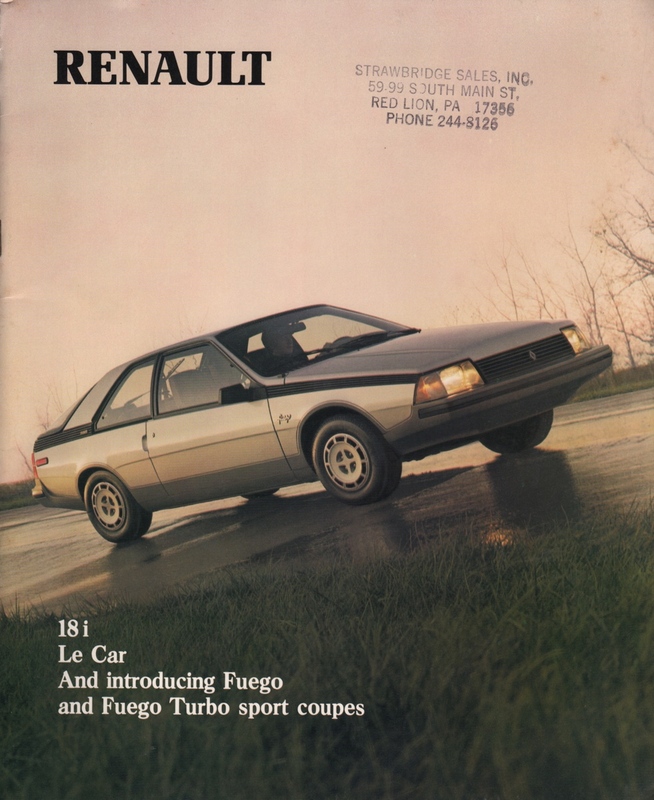 Sales brochure for the 1982 Renault imported by American Motors to the United States. Models include the Renault 18i, Le Car, Feugo and Fego Turbo. Brochures are presented for research use only. Company marks, emblems, and designs are trademarks and/or service marks of Renault.